John was born on May 03, 1991. He was born and raised in Honolulu, Hawaii where he attended Kalani High School and graduated Class of 2009. He was an avid Oakland Raiders Football fan and also enjoyed adventures, the outdoors, traveling and loved Cookie Monster so much he named his beloved dog Cookie Monster. On October 2016 he moved to Las Vegas, Nevada where he lived, worked and became a part of a wonderful extended Ohana. I can’t thank them enough for all the love and support they not only showed to my son but also to his family. God gained an angel on September 01, 2018 and we lost a major part of us all. He will be forever loved and cherished. He is survived by mother and stepdad, Lawrenett and Wesley Spencer; father, Guy Kaleimamahu; siblings, Guy (Kahea), Jada-Ann, Noah, Kaimanahiwalani (Mana) and hanai brother, Kala Kaawa. John is also survived by grandparents, Aunty’s, Uncle’s and cousin’s. Please come and join us in celebrating the life of John Kekoa Kaleimamahu on Saturday, November 3, 2018 from 9:00 a.m. to 12:30 p.m. at Nuuanu Memorial Park and Mortuary, East Chapel. 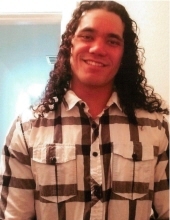 To send flowers or a remembrance gift to the family of JOHN "JOHNNY" KEKOA KALEIMAMAHU, please visit our Tribute Store. "Email Address" would like to share the life celebration of JOHN "JOHNNY" KEKOA KALEIMAMAHU. Click on the "link" to go to share a favorite memory or leave a condolence message for the family.